A 30 Million Dollar Colorado Ranch that is Worth Every Penny. My family and I decided to do a little hike this afternoon up to Summer Range Ranch, an unforgettable 825-acre property that is located high above the Vail Valley in Colorado. And boy, is it STUNNING! All of the trees and bushes are blooming with bright whites and deep greens and the wildlife seemed to sing with excitement of the new season. It is too exquisite for words. This ranch is nestled against hundreds of thousands of acres of BLM land so it feels like the ranch never ends! Also, a hunter and fisherman's paradise, you can literally enjoy nature's playground unrestricted with pure freedom. This ranch is unquestionably the most breathtaking ranch in the Central Rockies, period and is offered for $30,000,000. Read more about A 30 Million Dollar Colorado Ranch that is Worth Every Penny. Summer Range Ranch, an 825-acre ranch located just outside of Vail Colorado, is one of the most extraordinary and stunning ranches in the world. A hunter and fisherman's paradise, Summer Range Ranch allows you to enjoy nature completely unrestricted. This Colorado ranch also backs to Forest Service and BLM land so there are thousands of acres to play on. 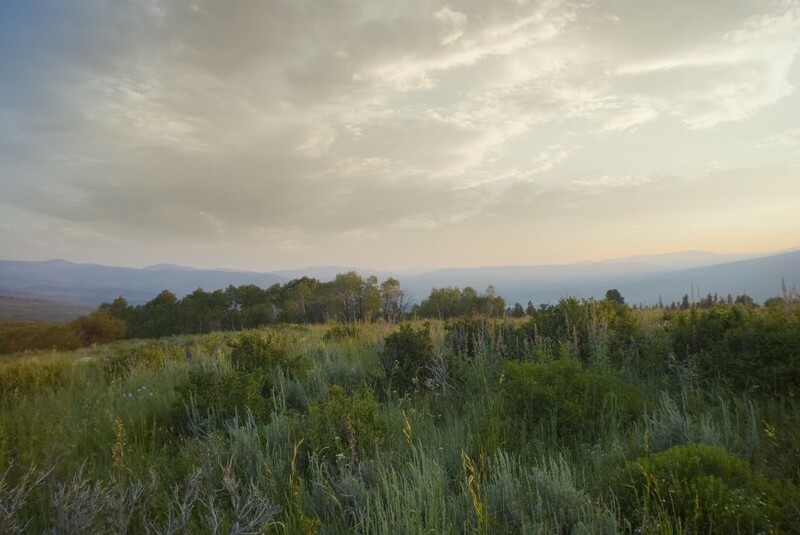 Located just minutes between the Vail Valley Eagle Airport and the Vail Village and ski slopes, you will never again find such an incredibly convenient yet private ranch land. It is too difficult to explain the beauty of this ranch so to set up a time to see it, please call or email me and I would be happy to guide you through one of the most spectaular pieces of land in Colorado. SUMMER RANGE RANCH is truly one-of-a-kind. Just minutes to the world-class Vail and Beaver Creek ski resorts and the Eagle County Airport, this amazing ranch property boasts the ultimate Colorado location and is unquestionably the most dramatic and breathtaking ranch in the Rocky Mountains. This idyllic setting consists of 825 unforgettable acres that overlook sweeping views from the Gore Range to the Flat Tops to Castle Peak. Boasting diverse terrain and vistas, there are grand stands of ancient pines, waves of aspen fields, and dramatic rock outcroppings. We have several great ranch properties for sale, including an 825 acre ranch just minutes outside Vail, and an 87 acre ranch on Brush Creek that has been reduced $800,000 in the last year, there is surely something for anyone looking for a ranch in Vail, Colorado. We have many incredible Colorado river properties for sale, some with cabins and homes and some land deals. Rainbow Trout Lodge is a gorgeous 1.83 acre property that sits on the Eagle River. The luxurious 4 bedroom Colorado cabin has unrivaled outdoor living, with an expansive covered deck with cozy moss rock fireplace, a sandstone terrace that is highlighted by a rare wood burning fireplace, and the elaborate outdoor lighting system outlines riverbanks and highlights the trees, creating a breathtaking nighttime oasis. A true fisherman's paradise! SUMMER RANGE RANCH, Colorado's Most Exquisite Land This exquisite Colorado ranch is located in Wolcott, just minutes from Vail and Beaver Creek. It is over 825 acres and has incredibly diverse terrain and is a gamesman's paradise where hunting and fishing are just the beginning: rich meadows, dense forests, trout-filled ponds, and sweeping 360 degree views. This land is quite possibly the finest piece of land in all of Colorado. For more information on this property, click here. For more information on Vail Real Estate and properties, click here. Summer Range Ranch is one of Colorado's finest ranch properties. Located minutes outside Vail, this 825 acres offers incredible views over the Valley, from Castle Peak to the Flat Tops to the famous Gore Range. The terrain is diverse, from grand stands of ancient pines to lush wild flower meadows to waves of aspen fields and dramatic rock outcroppings. A hunter and fisherman's paradise, this land allows you to enjoy nature's playground unrestricted with pure freedom. Fish from trout-filled ponds, hunt on your own private reserve, or trek into contiguous BLM land that never ends. Colorado Ranch Land with Fishing, Hunting, and More! There are few great ranch properties in the Vail Valley so it is rare when there are ranches and land for sale. At Gateway Land and Development, we have several incredible ranch and land properties that are available! Read more about Colorado Ranch Land with Fishing, Hunting, and More! Perfect "turn key" property for you and your horses.? Private and secluded, yet minutes from world class skiing, shopping, dining, and the Eagle County Jet Center.? This awesome estate features a six stall barn, irrigated and fenced pastures, indoor and outdoor riding arenas, and a gorgeous custom log beam home! Read more about Beautiful Colorado Ranch! 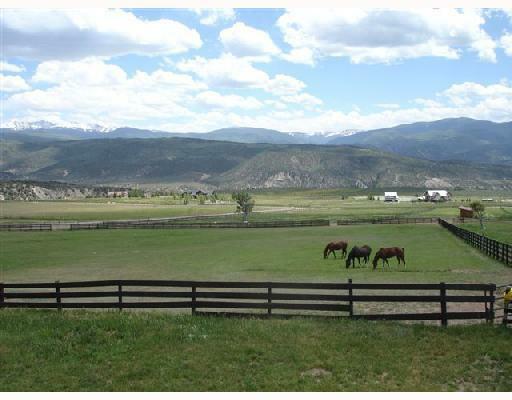 Awesome "Turn Key" Horse Property located in the Heart of the Colorado Rockies!? Indoor and Outdoor Riding Arenas, Six Stall Barn, Irrigated and Fenced Pastures, and a Gorgeous Custom Ponderosa Log Beam Home.? This Property is located minutes from World Class Skiing, Dining, Shopping, and the Eagle County Jet Center.